Congess Spokesperson, Priyanka Chaturvedi tweets A Telangana photo to show strength in Lucknow. 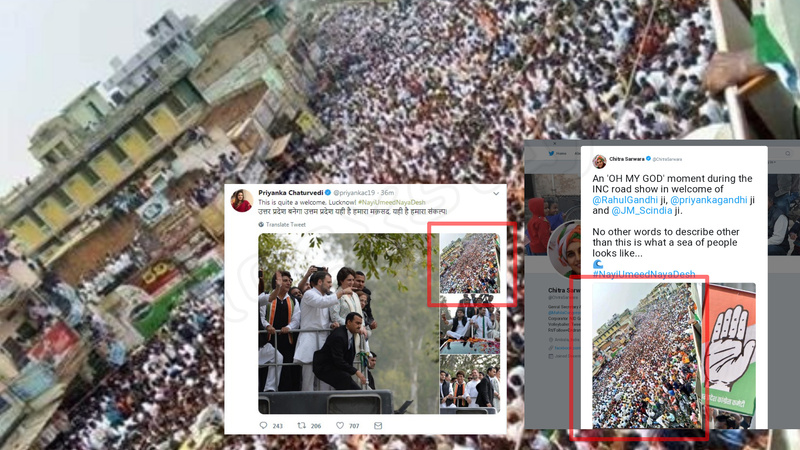 Congess National Spokesperson, Priyanka Chaturvedi tweeted yesterday about Priyanka Gandhi’s rally in Lucknow, Uttar Pradesh in a series of tweets regarding the same rally. Name of the shops and banners are written in South Indian language. ← Vande Bharat Express’s doctored video is viral. Did Aishwarya donate hair in Shri. Venkateshwara Swamy Temple, Tirumala ?